Last November, reports that Microsoft was working on a new way to lower the cost of updating its operating systems for users started making the rounds. Codenamed "Windows Blue," it was believed the project would create yearly updates for Microsoft in the same way Apple and Google release yearly updates to each company's respective operating systems. Sources indicated at the time that Blue would arrive sometime in mid-2013, though it would likely retain the Windows 8 name as to avoid confusion and keep the brand unified. As great as it was to hear Microsoft may finally be taking steps to provide more frequent OS updates, a new report surfaced Thursday indicating MS has bigger plans for Blue outside of Windows 8. Microsoft has a lot of platforms under its umbrella at the moment including Windows 8, Windows Phone 8, Outlook, and SkyDrive. According to a tipster speaking with ZDNet, all of Microsoft's brands will receive the Blue treatment, though not all at once. The update is still scheduled to arrive on all the various brands within the same window, though Windows 8 will be the first to turn Blue. Blue will mark a major shift for the Microsoft product dynamic, which in the past has typically focused on new iterations every few years, rather than on an annual cycle. That's not to say Microsoft will limit fixes and firmware updates to these supposed yearly updates, as support for Windows 8, Windows RT, etc. will continue even as Blue's arrival gets closer. Even though it's reach will reportedly expand beyond the Windows 8 market, the flagship OS seems to be the one platform with the most to gain. Yearly refreshes will allow original equipment manufacturers to hone the hardware to better work with the incremental advances Blue provides, rather than adapting to drastic sweeping changes for an entirely new OS. 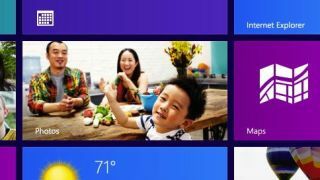 Microsoft has indicated it believes Windows 8 can thrive through multiple years, and a plan like this could provide the OS some legs to better compete with big rivals. However, there's still some cause for concern on the developer end, as they'd be tasked with creating apps to be compatible with Blue through the Windows SDK, rather than just creating Windows 8 apps. More consumer friendly software would certainly be welcome, but one has to wonder if developers will feel the same way if and when Blue finally arrives.